We excel in delicious home made Food . Guests and visitors can enjoy our Breakfast in the Treetops, delight in our High Teas or arrange private lunches, dinners or Catering. To ensure that the relaxing feel is maintained, Mt Cotton Retreat regularly hosts private celebrations. With seating for up to 70 people, it is a perfect location for an intimate celebration, wedding, reception or formal dinner. Luxury, relaxation and tranquility is what you will find at Mt Cotton Retreat Bed and Breakfast accommodation and self contained cabins. Whether you are looking for a peaceful getaway or a romantic weekend, our stunning bushland setting provides you with just the right place. Yet it is only 30 mins to Brisbane CBD and the Gold Coast. And you have the choice of accommodation with our new beautifully appointed eco cabin pavilions – by the lake, or in the treetops, or deluxe rooms and suites in our tastefully decorated boutique B&B. 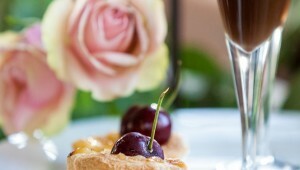 All pavilions and most rooms and suites feature your own private balcony or deck with complimentary port and chocolates. Complimentary wifi is also available. Our Bayside Bed and Breakfast (Redland) and our cabins are situated in QLD on Brisbane’s Southside. Also close to Gold Coast beaches, shopping, restaurants and tourist attraction. 45 minutes from Brisbane International and Domestic Airports and 50 minutes from the Gold Coast Airport. Perfect for visiting Brisbane, Southbank, Logan, Sirromet Winery, Rainforest Gardens, Mt Cotton, Cherbon Waters, Redland Bay Golf Course, Riverlakes Golf Course, Surfers Paradise, Mt Tamborine and the Gold Coast Hinterland, Just 10mins to Mt Cotton Driver Training Centre, Lurleen’s Restaurant, Great Southern Remembrance Gardens. And just a short drive to Logan, Yatala, Victoria Point, Cleveland, Redland, Redland Bay, Capalaba, Carbrook, Sea World, Dream World, Movie World, Wet ‘n’ Wild and Australian Outback Spectacular. 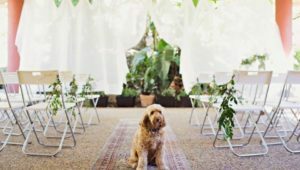 Our B&B Brisbane Qld retreat is the perfect venue for high tea, family celebrations, intimate weddings, romantic wedding nights and luxurious honeymoons and boutique functions. Whether the purpose of your trip is business or pleasure we welcome you to our guesthouse!! Enjoy your stay! 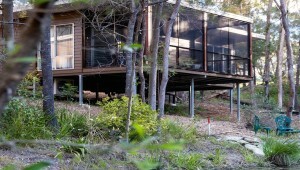 Take a walk on our own 20 hectare ‘Boom-Ber-Pee’ (koala) private nature refuge. Maybe venture just 1.2km to a bushwalker’s paradise at Venman National Park. Also you can also walk through to Daisy Hill Forest and Koala Centre. From our property you can spot wallabies, koalas, possums and goannas. A popular spot for Bird watching our property has over 80 species of birds. You are also only 10 mins drive to the RAMSAR listed Eagleby Wetlands Reserve, This is a popular birding location for avi-tourists with over 203 bird species. During rainy periods our creek flows and cascades beside the house over the many small waterfalls. You can see and hear from many points in the guesthouse and gardens.